Americas Cardroom has announced it will be hosting the next $1,000,000 guaranteed Million Dollar Sunday a week before Christmas on Sunday December 18. Americas Cardroom is the leading US-facing online poker site for tournaments with big guaranteed prize pools. 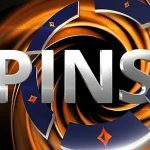 As well as hosting the most valuable weekly feature event open to players from the States – the $115,000 guaranteed Sunday Special – the site frequently runs tournament series with some amazing prizes up for grabs. However, something special is happening at Americas Cardroom next month. From December 7 to December 18, Americas Cardroom will be holding its eighth Online Super Series (OSS VIII) – a seventy-six event series spanning twelve days with a minimum of $2.5 million in prize money. The schedule for the series has just been released, and the feature event over the twelve days of action will be a $1,000,000 guaranteed Million Dollar Sunday on Sunday December 18. 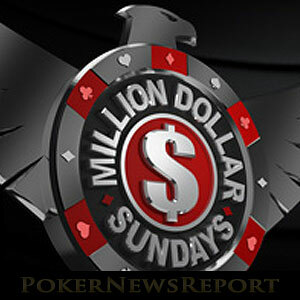 Two years ago, Americas Cardroom launched its first Million Dollar Sunday. The early events were beset by DDoS attacks and experienced massive overlays – prompting people to consider that the site had been too ambitious. The events were also criticised by proponents of regulated US online poker, who claimed that $1,000,000 prize pools detracted players from “joining the cause for regulation”. However, Americas Cardroom persevered with its ambitious Million Dollar Sunday tournaments – confounding naysayers and critics alike – and the last couple of events have attracted more than enough entries to surpass their guarantees. 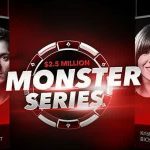 Except when deals have been made at the final table, the winners of the last few Million Dollar Sundays have walked away with more than $200,000. The next Million Dollar Sunday promises to be equally as successful as the events held earlier this year. The $540 buy-in tournament kicks off at 4:00pm (ET) and has five hours of late registration, during which time eliminated players have the opportunity to re-enter. In addition to the $200,000 first prize, the winning player will be awarded a sterling silver bracelet to mark their achievement. As mentioned above, the Online Super Series VIII has seventy-six events across twelve days and has a diverse schedule with a wide variety of game types. Buy-ins start at just $1.10 and, in addition to the Million Dollar Sunday, events include a $100,000 guaranteed opening event, a $500,000 guaranteed Sunday Special on December 11, and a $250,000 guaranteed “Warm-Up” tournament three hours before the Million Dollar Sunday gets underway. 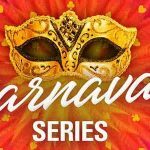 Two of the most interesting events on the OSS VIII schedule are the Cage events – Americas Cardroom´s five-hour cash games that have rising blinds similar to a tournament. A Cage event with a $1,050 buy-in is scheduled for Sunday December 11, and a Cage event with a $5,100 buy-in is scheduled for the following Wednesday. They promise to be intriguing events to rail if you do not have the bankroll to take part in them. Despite its name, Americas Cardroom is not just for Americans. Plenty of players from all over Europe and the rest of the world compete at the site. Indeed, the UK´s Rupert Elder is a previous winner of a Million Dollar Sunday event, and an earlier final tablist was widely suspected to be Tony Guoga. Many former PokerStars players now play at the site because of Americas Cardroom´s Stars-esque Elite Benefits program, and also players from ring-fenced jurisdictions in which liquidity is an issue. The valuable tournaments and rewarding Elite Benefits program are just two of the many reasons why players are choosing to play at Americas Cardroom. 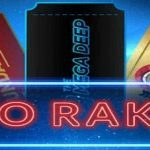 The site offers a valuable 100% match bonus on first deposits up to $1,000 and a unique “Beast” non-contributory rake race that is currently paying out more than $90,000 each week in cash and tournament entry prizes. You can find out more about the site in our Americas Cardroom review, or head directly over to the site to start your Americas Cardroom experience today.